"Weve put our most advanced technology inside the new iPod touch," Jobs said in a press release. Whether youre listening to music, playing games, making FaceTime video calls, browsing the web, capturing HD video or watching TV shows and movies, the new iPod touch with its Retina display, A4 chip and 3-axis gyro is more fun than ever." Apple boasted that the iPod touch is the worlds most popular portable game player. The addition of Game Center will allow players to challenge and play friends or be matched automatically with new opponents. 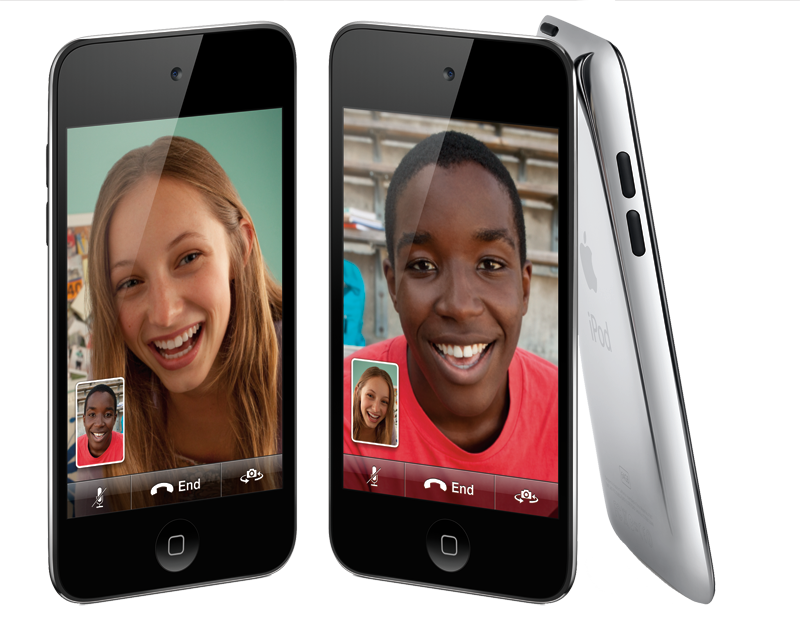 Facetime: FaceTime on iPod touch lets you hang out, catch up, and goof off with friends in an entirely new way. With just a tap, you can see what your friends are up to  literally. Witness a prank in action. Or watch your friend on the other side of the country crack up at your stories from last night  new iPod touch to new iPod touch or iPhone 4 over Wi-Fi. And all you need to get started is an Apple ID and an email account. Retina Display: The Retina display on iPod touch brings out the awesome in anything on it. 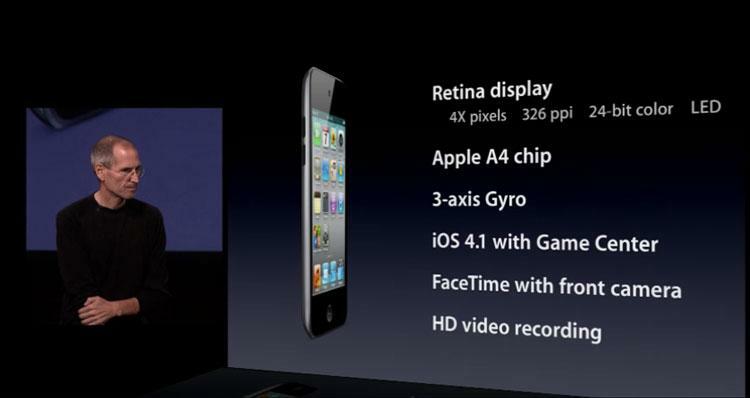 Thats because its the highest-resolution iPod screen ever, with four times the pixel count of previous iPod models. In fact, there are so many pixels, the human eye cant distinguish individual ones. Which makes graphics and images stunningly sharp, and text amazingly crisp. Just like the printed page. HD Video Recording and Editing: You should have seen it! is a thing of the past. Because with iPod touch, youll always have a great HD video camera with you. Say youre at a party and you see someone popping and locking. Youre ready to capture the moment in all its glory. In high-definition 720p video. You can record video in low-light settings, thanks to the advanced backside illumination sensor. You can even edit and create your own mini blockbuster right on iPod touch using the new iMovie app  with Apple-designed themes, titles, and transitions. Its available on the App Store for $4.99. Game Center: Its time to make a game plan. The new Game Center app on iPod touch lets you add more players to your gaming network. Invite friends to join. Then totally dominate them. Take a look at how your score ranks against your friends and other players of each game. Compare game achievements with your friends. Put together a select group of friends to play with. Or choose to automatically go up against people you dont know in a multiplayer game. So get in the game. And get your friends in it, too.